If you want a stress-free shopping experience, then come and shop with Ewald’s used car dealerships near me. Ewald Chevrolet Buick has provided countless other drivers find their perfect vehicle. When shopping with Ewald’s Chevy dealer in Milwaukee, drivers can expect to experience outstanding customer service. As well as finding amazing deals and offers. Come to Ewald Chevrolet Buick for our incredible inventory selection of new and used cars for sale in Milwaukee. Here at Ewald’s Chevy dealer in Milwaukee, you can easily find and try out a wide variety of new and used cars for sale in Milwaukee to enjoy. At Ewald’s Chevrolet Dealers in Wisconsin, we offer everything ranging from amazing new Chevy cars for sale to used Chevy cars for sale and much more. This wide variety of new and used Chevy cars for sale in Milwaukee makes it a lot easier to find the vehicle that is right for your daily needs. That also means not without wasting a ton of time shopping other used car dealers near you that don’t offer this incredible selection! So come on by Ewald Chevrolet Buick today. Take a look at our used cars for sale in Milwaukee. 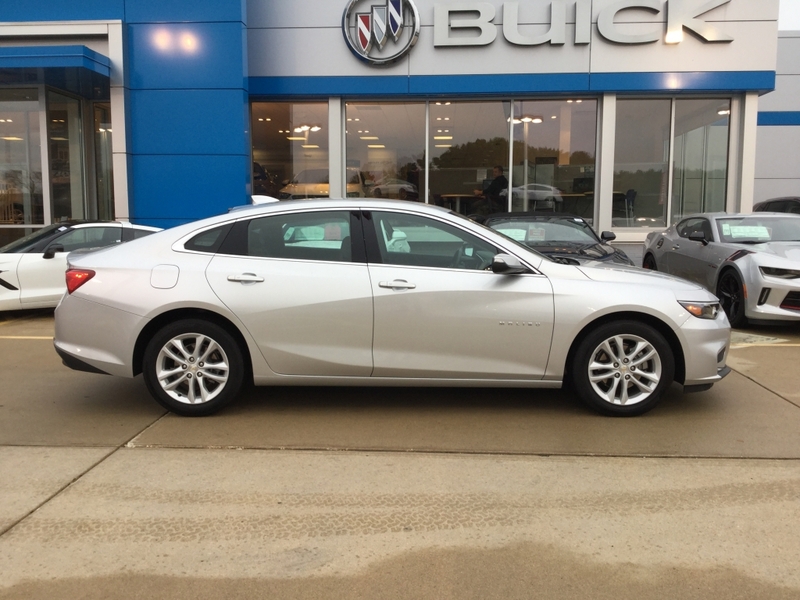 Like the used 2018 Chevrolet Malibu LT. This incredible used Chevy for sale is full of features both inside and out that you will not want to miss. Like the fuel-efficient 1.5-liter DOHC engine on this used car for sale. With an incredible MPG rating, you will be breezing by the gas stations without worry. It gets an average of 27 miles per gallon in the city and 36 miles per gallon on the highway. The fuel economy on this used car for sale isn’t the only thing worth mentioning. You will find many standard and optional features on this used car for sale in Wisconsin. Such as luxurious leather seats, Bluetooth, and more. Like a rear backup camera and remote engine start. As well as steering wheel audio controls. So, no more taking your hands off of the wheel or eyes off of the road to adjust the volume or to change radio stations when you buy this car for sale near Milwaukee WI from Ewald Chevrolet Buick. Is this Chevrolet Malibu not the right used car for sale to meet your needs? Come and take a look at one of the many other used cars for sale at our Chevy dealer near Milwaukee. Take a test drive in one of our used cars for sale in Wisconsin. Visit your local Chevy dealers in Wisconsin, Ewald Chevrolet Buick. Ewald Chevrolet Buick has a website that makes it possible to easily search for your next car. While there, you can check out our inventory and get an estimate of what your vehicle is worth. You can also get pre-approved and more. Let Ewald help you get one step closer to driving home in the used car you have been dreaming of owning . You can find Ewald Chevrolet Buick at 36833 E Wisconsin Ave Oconomowoc WI, 53066 to check it out in person. Or give us a call at (262) 226-2842 to schedule your test drive.